Well, I’ve always been kind of a rebel. Sorry, Mom. Truth be told, I don’t believe in the cards, really. I’m not a predictive reader. I don’t think the cards give me any insight into the future, because I don’t believe that the future is set in stone – or that time is even linear. And the cards are just uniformly cut pieces of cardboard with pretty pictures on them. But what I do believe is that we already have access to all the answers we need – it’s just that sometimes we need translators to help us figure out that information. That’s what the cards are for me — visual translators. What’s cool about this particular set of translators is that they contain a few very specific coded systems, and at least one of those systems works incredibly well for me — the numbers. There are 78 cards in the deck broken out into 22 major arcana (or trump cards) and 56 minor arcana (the regular suits). Every one of them is associated with a number, and the relationships between those numbers in a reading can often give me more information than the pictures themselves. You can do the same process with your most recent birthday and see what archetype is influencing your year — also known as your Year Card. And herein lies the point of this post. Today is my birthday — a capital “B” Birthday in a couple of different ways: First, I turned 40. 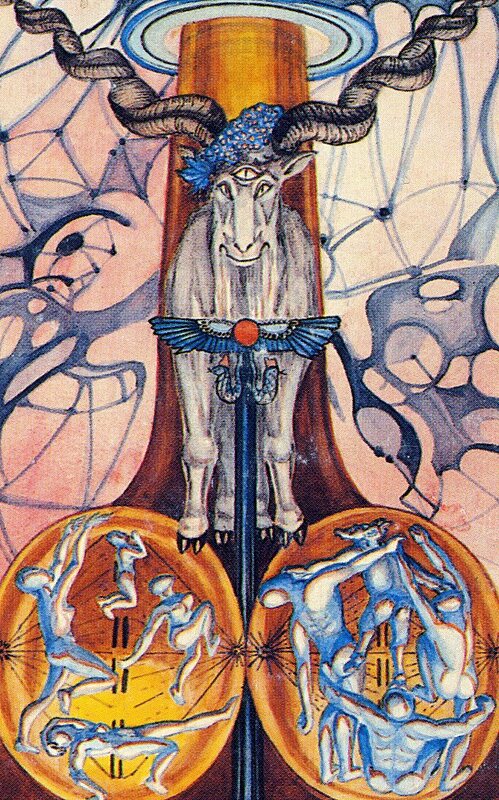 Second, I am starting my first ever “15” year — which in the Tarot is The Devil. I think this will be a year about contracts — exploring contracts I’ve made that no longer serve me, and entering into new ones with fresh and discerning eyes. I think this will be a year about secrets — uncovering some of the ones that I have hidden from myself and revealing ones that keep me from being more free and open in the world. I think this will be a year about desire — sexual, creative, life-affirming desire — and likely identifying those desires I already embrace and those I sabotage and keep tamped down. I already know that this year is going to hold a great deal of change for me — and I think that this year will be about how I embrace that change. Do I do it with joy or resistance? Passion or begrudging acceptance? This could be a big year. And I am curious to see what it was really about when I sit down to write 365 days from now.